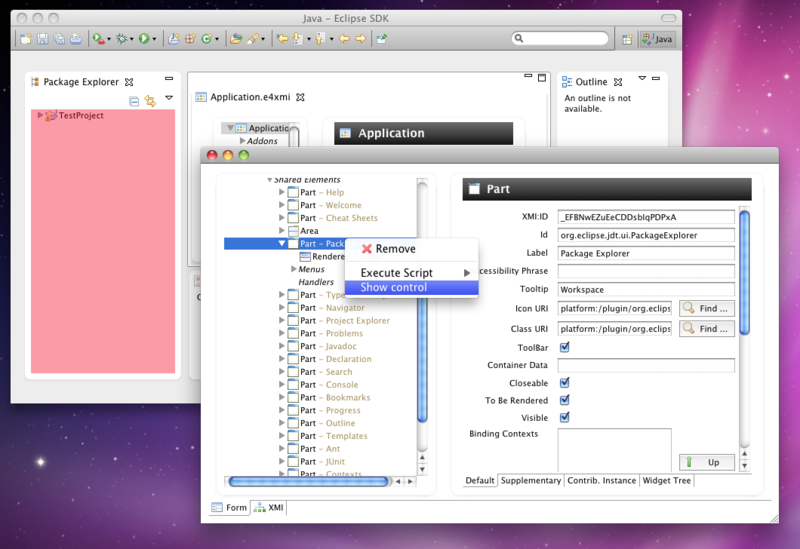 Some weeks ago I’ve blogged about some new features I’ve added to the e4-ModelTooling. The soon declared 4.1M6 release will hold some more features I’d like to present to you in this blog entry. If you are interested into which widget the rendering engine turned a specific model element into and where it is rendered on the screen there’s now support to find this out. 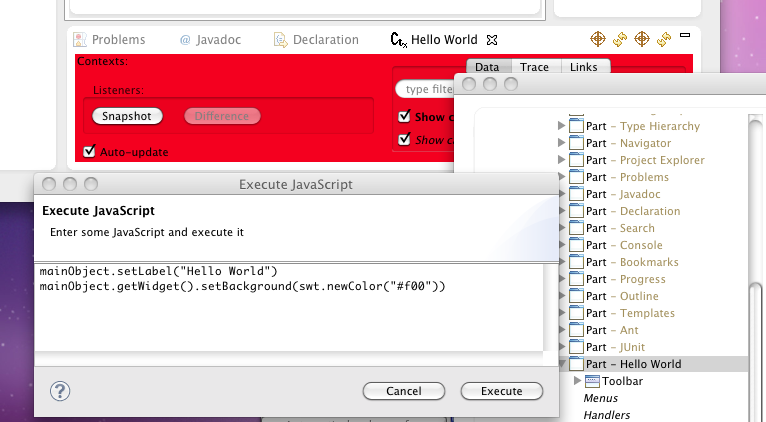 The widget browser allows you to completely inspect the widget tree of the running applications. Together with the introduced Control-Finder those 2 utilities will help developer to inspect, debug and ultimately better understand and control applications built upon the Eclipse 4.0 Application Platform.